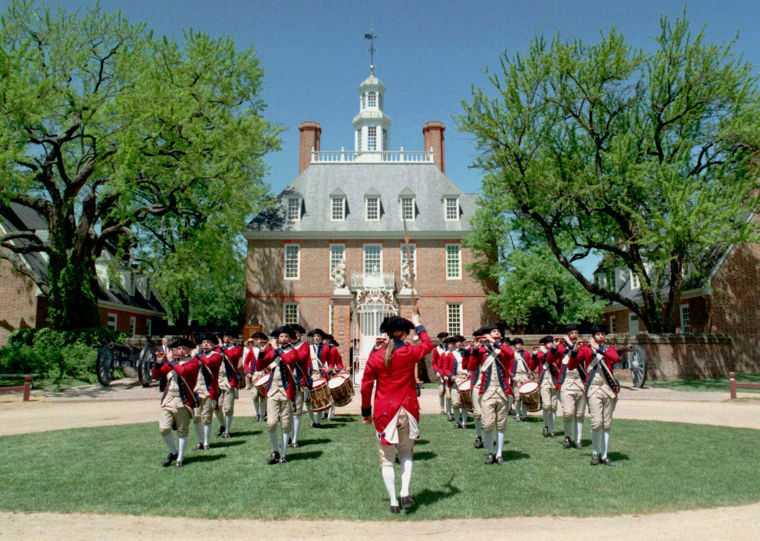 Have you ever visited Williamsburg, VA? Have you contemplated a visit but were unsure what all to do? This may help! We recently took some family time in Williamsburg, Virginia. We love that it is within driving distance and yet has so much to offer! If you have not yet had a chance to visit this lovely old city, I thought I’d share some of the things you may enjoy doing and seeing in the area! If you frequent the Williamsburg area, I’d love to hear from you on your favorites or any places I may have missed! For those who prefer more modern entertainment, Busch Gardens, Water Country USA, and Great Wolf Lodge offer hours of entertainment; cost will vary on length of time you spend at each place (and be sure to check dates for availability), but all are very convenient for a mini-excursion during your Williamsburg stay. For those of you with younger kids, we spent some time at the local Bounce House, where tickets purchased are valid all day long; just get a wristband when you leave for free admission later in the day. Going off-season when most children are in school allowed us to have the place virtually to ourselves! Kids’ tickets run about $10 each, but adults are free, and adults are allowed in the bounce houses, so my husband and I enjoyed playing with our kids! I haven’t laughed that hard in a long time! It was a lot of fun, and after a couple hours of playing in the morning, we were able to leave and come back after an early dinner for a little more playtime before bed. There is also a variety of mini golf courses for families to enjoy. We took the kids twice, though it looks like they may be better off trying broom hockey in the future! haha! Now, on to our favorite thing – food! haha! One of my favorite things about vacation is that I am not preparing three meals a day! We have found it works nicely for us to go out for breakfast and dinner, and then we’ll have a snack midday as needed. In addition to the regular chain places like IHOP, Cracker Barrel, Olive Garden, Red Lobster, etc., there are many unique places and I thought I’d highlight a few here! Mama Steve’s offers a rustic environment with the servers dressed in colonial garb. The food is decent and the atmosphere is fair. Not our favorite place but certainly not the worst. Daily Donut boasts a fresh exterior, but inside it is a different story. This place has a lot of potential but sadly is not being realized. The atmosphere was eerily quiet (no music or any background noise!) so every little conversation carried easily through the tiny seating area. The food left a lot to be desired too; the biscuits were very tough and we had to ask for refills on our coffee despite the restaurant being fairly empty. Southern Pancake and Waffle House was one of the better places we visited (we had visited here as well on a previous trip to Williamsburg! ); the food is good and the atmosphere is pleasant, although the tables do feel a bit crammed together, so it’s not quite as spacious as we’d prefer when trying to keep little kids in their seats! Shorty’s Diner is a couple miles off the beaten path but in true diner form offered great food (though the coffee left a lot to be desired!) It was our first visit to Shorty’s but we definitely plan to return on future trips to the area. The diner atmosphere includes a lot of locals in the brick-walled restaurant. For dinner options, if you’re a seafood lover you’ll want to visit Captain George’s seafood buffet. With unlimited crab legs, this is a great way to get your fill of this pricey treat; but as it is a buffet, be prepared to get up and down several times throughout your meal as the servers will only refill your drinks. There is a good variety of salad (though not much fruit), and other meats including beef and some chicken. If you want a really unique place with a wide variety of delicious food, I highly recommend Food For Thought. They’re open for lunch and dinner (breakfast is available on weekends), and their wide menu options are sure to have something for any appetite. I thoroughly enjoyed my steak and crab cake (lots of meat, very little filler) with asparagus and spinach! They also offer yummy pot roast, and other options from eggplant parmesan to pad thai! Definitely a favorite and we will be sure to return here again on our next trip to the area. Second St. Bistro was another restaurant with a wide variety of food offerings. Our experience was not the greatest, but I do wonder if it was just due to a poor server or a bad night. Other tables around us had prompt service, but ours was lacking. I ordered the Second St. Burger (one of their specialties!) but my burger tasted almost burnt and was quite flavorless, despite its great presentation. We started with the fried green tomatoes which were served in a cornbread type crumbly batter topped with pimento cheese and bacon, and those were delicious! I’ve never had fried green tomatoes served that way and we definitely enjoyed that. My husband got the tiramisu trifle for dessert, and while tiramisu is one of his favorite desserts, he was not impressed with his trifle. We had to ask for refills on drinks as well, and the only thing we received quickly when we asked for it was the check! Not sure if we’ll go back, but maybe if you go you’ll have better service. For those traveling without little ones, a visit to one of the local taverns is a great experience! My husband and I visited Christina Campbell’s tavern on a previous visit and enjoyed the authentic experience! Everything is set up just as it was when George Washington dined many years ago, and it was an enjoyable and delicious meal. Williamsburg also boosts a Williamsburg Pottery Factory …. which is a glorious structure but actually offers very little pottery! It is more like a conglomeration of clearance/overstock items from a variety of retail, grocery, decor, and hardware stores. They had some nice items in the home decor area, but nothing unusual. We were really disappointed in the hodge-podge layout! Unless you need to stock up on glassware, dishes, or other random odds and ends, it is probably not worth your time. So, have you ever visited Williamsburg? What are your can’t-miss activities?